China’s Ministry of National Defense (MND) announced on November 23, a Thursday, that combat air patrols had taken place in the South China Sea. 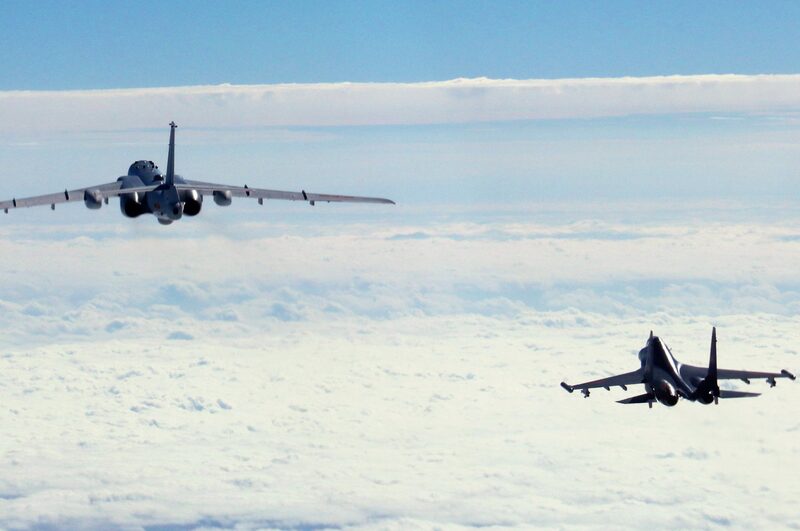 These involved unarmed H-6K bombers escorted by J-11 fighters over two locations, the Bashi Channel and the Miyako Strait. Photos later circulated by Chinese state media indicated the patrols happened on November 19 or just four days after the ASEAN Summit in Manila where the regional bloc agreed to create a binding Code of Conduct for the South China Sea. There’s no evidence the events are linked and it seems the combat air patrols were meant to either practice war time maneuvers or provoke Taiwan. The presence of H-6K bombers in the Bashi Channel, which is located between Taiwan and Luzon, is the latest occasion where the aircraft flew over the same body of water this month. In the beginning of November an H-6K was reported have performed a “practice run” over the Philippine Sea that simulated an attack on Guam involving air-launched cruise missiles. But the scope of the bomber’s activities on November 19 were a lot more worrisome. 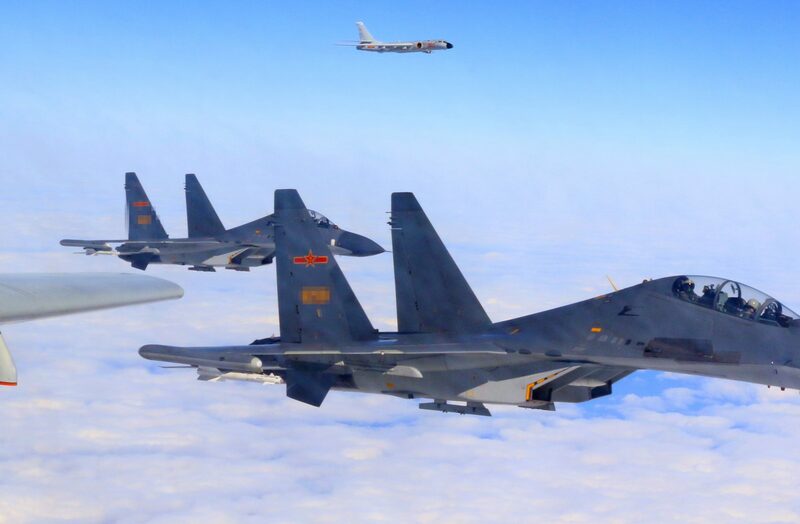 An MND spokesman cited by Chinese state media mentioned “A team of various bombers completed the routine patrol.” The aircraft were originally based in “an inland airport in north China.” The MND insists these activities are in keeping with the PLAAF’s training regime over the high seas that dates to 2015. But the few details provided by the MND left out the terrible implications of the bomber flights. It’s not known how many H-6K’s were involved during the November 19 exercises but these are the only PLAAF combat aircraft suited for both long-range patrols and airstrikes. The H-6K is a heavily upgraded variant of the Soviet-era Tu-16, which was copied by China’s aerospace sector along with the Il-28 to give the PLA a bomber fleet. The course of the H-6K’s that flew on November 19 suggest these were practicing an encirclement of Taiwan. But it’s also possible the aircraft above the waters off Miyako Island were testing Japanese air defenses as well. Minnie Chan of the South China Morning Post (SCMP) suggests the patrols are for improving operational readiness beyond the “First Island Chain” that blocks the Chinese military’s reach beyond its coast line. 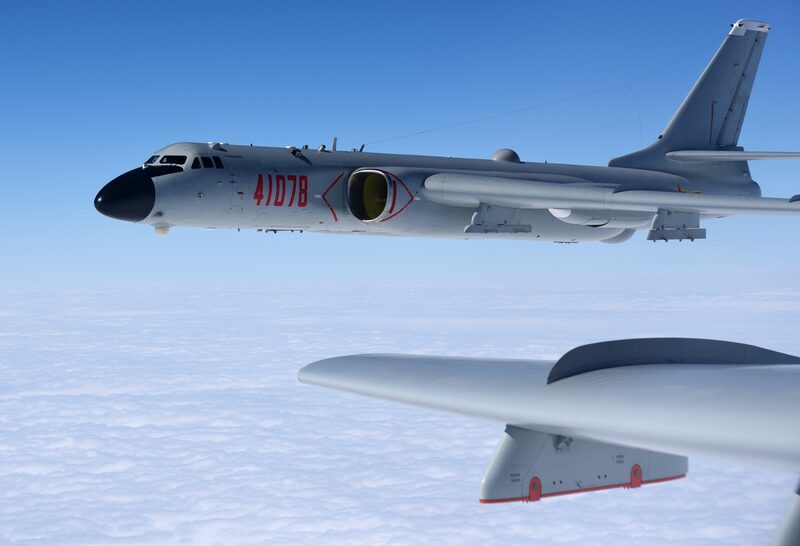 If further exercises involving H-6K bombers continue around Taiwan this is the clearest proof yet of the PLA smoothing its contingencies for when war breaks out. Should bombers like the H-6K cut off the island nation from reinforcements arriving by sea, it then becomes easier for PLA marines and their armor to subdue the rogue province and achieve unification.